Helps ease the everyday aches and pains. Relieves the allergic skin condition and helps open wounds recover. Improves hydration, blood circulation and relieves irritation in the eyes. To enjoy health, vitality, beauty and quality of life. Pain can be annoying or even debilitating, especially if it persists and prevents you from carrying out your daily activities. Common pains are joint and muscle pain caused by ligament or tendon strains, inflammation, slipped disc, arthritis and such pain can occur in areas such as the neck, shoulder, elbow, wrist, upper and lower back, hip, knee, ankle or foot. Hi-Bliss Pain Relief Therapy uses Hydrogen, a very powerful antioxidant with anti-inflammatory properties to help ease the everyday aches and pains, be it recent pain or pain that has been suffered over years. Ready for your Health Assessment ? Our Consultants are ready to help you address your health concerns and start your journey to a healthier life. Are you suffering from these symptoms ? If YES, then we have the ideal solution for you. Hi-Bliss Osteoarthritis Program is a specially designed program targeted to provide resolution for people suffering from these symptoms. The program combines the power of hydrogen for its anti-inflammatory and anti-oxidative properties, with manipulation to improve blood circulation, and exercises for muscle-strengthening to increase flexibility and mobility. In today’s living environment, exposure to air pollution, stress, fast food diets, radiation from digital devices, smoking and excessive alcohol consumption results in sub-optimal health. The uncontrolled formation and accumulation of toxic Free Radicals in our body cells destroy healthy cells, eventually leading to organ malfunction and chronic diseases. All these are signs that our body is under stress and not performing at its best. If we ignore them, it will eventually cause premature aging and lead to more serious illnesses. Our Detox Treatment is an effective treatment to help rebuild the body system and restore the functions of our body organs. It flushes out toxins, protects against cell damage, activates cellular healing and enables our body to regain its optimal condition. Our Treatment enables you to enjoy better health, vitality, beauty and quality of life. Through the process of detoxification and restoring healthy cells, our skin is rejuvenated, optimal health is achieved and diseases are prevented. Allergens, environmental irritants, infection, hereditary factors, and stress are just a few of the forces that can trigger or exacerbate skin problems. The terms “skin condition” and “skin disorder” are used interchangeably to describe various skin problems, from small red bumps on the skin to widespread rashes. Some skin conditions can be unsightly but harmless, while others may be contagious. Inflammation of the skin is a common symptom of skin disorders, such as Psoriasis and Eczema. Skin disorders can often give rise to other undesirable conditions such as itchiness of the skin, open wounds, irritability and insomnia. Stress, when in small doses over a short period of time, is useful for us to perform and respond during an important situation. The more often we are stressed out, the more often our bodies will be in a heightened state of stress. 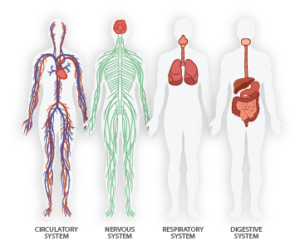 Our bodies begin to change as part of this stress response, resulting in suppressed immune system, chronic pain, migraine, heart disease, digestive problems, cognitive and memory problems, among others. Hi-Bliss Stress Buster Treatment targets the underlying muscular conditions that cause tension. Eyes are very complex organs. Many people experience problems with their eyes, some of which develop or worsen as they get older. Many eye diseases have no early symptoms. They may be painless and may deteriorate even without one realizing it. As a one-stop healthcare centre in providing pain management and wellness therapy, our qualified Health consultants strive to provide the highest quality service to our clients. Our clients feel relaxed throughout the session as our treatments are comfortable, painless with no side effects. Before each session, our consultants will conduct a full body check-up (palpation) and will check the underlying muscular, body organs and joints to ensure that the Hi-Bliss Hydrogen Therapy is focused on treating specific problem areas to achieve the best results for our clients. *Palpation is the process to examine all of parts of the body through sense of touch. Our professional consultants will identify the pain / trouble areas, unhealthy body conditions and underperforming body functions. Based on the results from the full body check-up, our consultants will personalise the Hi-Bliss Treatment to suit each client’s body condition in order to achieve the optimal result for the client. Hi-Bliss Hydrogen Therapy was founded on the potential of molecular hydrogen that has been proven to neutralise the body’s most toxic free radicals – believed to be the root cause of premature ageing and a wide range of diseases. Antioxidants, on the other hand, stop free radicals from destroying the body cells. This pioneering technology harnesses the powerful antioxidant properties of molecular hydrogen by generating small amounts of hydrogen gas from distilled water. These are then directed onto the targeted treatment areas where molecular hydrogen, being the smallest molecule on earth, will then be absorbed into the body’s system. Ultimately, this treatment reduces oxidative stress, which is a result of excessive free radicals in the body and prevents the destruction of body cells by free radicals thus enabling the body’s organs to recover and function at its optimal level. Not only is Hi-Bliss Hydrogen Therapy medication free and non-invasive, the use of hydrogen ensures that the treatment is natural and safe for use for anyone suffering from muscle and joint pains as well as various ailments including liver, kidney disease, diabetes, stroke, high blood pressure, dry eyes and skin allergy amongst others. For pain relief treatment, we will have a series of exercises recommended to our clients to accelerate the healing and recovery process. Each session will end with a recap on the session and analysis by our consultants, as our recovery programs are customized to each client’s health condition and progress is monitored after every session.